Last week our theme was ‘Authority, Property, Piracy: From Copyright to the Commons’ – essentially, the complexities of the concept of authorship, the practicalities of copyright and the methods of those who subvert it, or reinvent it. Our lectures are more like tutorials, thanks to course leader Ernesto Priego, with a lot of interaction and relevant tangents – for example, starting with a classic Beastie Boys video (think sampling and referentiality) and an homage to it by some (piratical?) librarians. During the discussion I mentioned that I’d heard of a scheme by which authors can claim royalties from their books being issued by public libraries. My classmate James Atkinson confirmed that there was such a scheme but the conversation moved on and I resolved to find out more about it afterwards. I remembered I’d heard about it from a news story quoting Terry Deary, author of the bestselling Horrible Histories series, lamenting the fact that he would be much better off if people bought his books instead of borrowing them. He goes on to say that this isn’t his main problem with public libraries, but all of his objections relate to the fact that allowing people to borrow books free-of-charge fundamentally undermines the commercial structures that allow books to be created in the first place, effectively equating libraries with those who steal intellectual property for their own gain. You could almost call it a form of sabotage. RIP MCA. We covered a lot last week, including a discussion about the past/present/future of professional journalism (thanks to the excellent Eliza Anyangwe) as well as to that of amateur journalism, which, as H.P. Lovecraft’s 1920 address Amateur Journalism: Its Possible Needs and Betterment demonstrates, is hardly a new phenomenon. We also discussed Foucault’s response to Barthes’s paradigm-shifting 1967 essay La mort de l’auteur, in which the author [no irony intended] “argues against traditional literary criticism’s practice of incorporating the intentions and biographical context of an author in an interpretation of a text” [Wikipedia]. 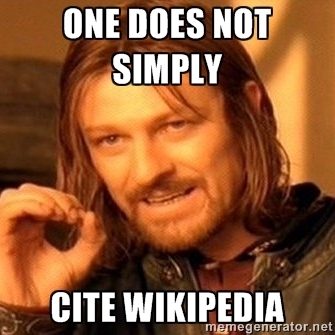 As the Wikipedia article’s author(s) go(es) on to point out, Barthes’s title is a pun on Le Mort d’Arthur [irony presumably intended], a work compiled from the writings of many unknown authors, “with heavy reinterpretation by the editor, Sir Thomas Malory.” Ever since, English lit undergrads have had to religiously avoid the “intentional fallacy” (a term not coined by Barthes but in a paper by American academics Monroe Beardsley and W.K. Wimsatt) – the mistake of thinking that the author’s (separately) stated intentions should have a bearing on the interpretation of his/her work (or, at least, any more than anyone else’s should). These question are brought to our attention in the social media age by Matthew Kirschenbaum in his excellent essay What Is an @uthor? (see what he did there?). Kirschenbaum introduces the subject by giving the example of Faulkner in the University (1959), edited transcripts of recordings made of William Faulkner’s classroom conferences during a stint as writer in residence at the University of Virginia for the preceding two years. And all this only a few years after Beardsley and Wimsatt. It still seemed to matter what an author might have to say when he was in the room. Kirschenbaum goes on to recount his own experience in relation to the American author William Gibson – a futurologist if ever there was one – and today’s equivalents of the reel-to-reel tape deck, YouTube and Twitter. Old canards such as, the inventor of cyberspace wrote on a typewriter…, didn’t know what a disk drive was…, didn’t have an email account…, have been discredited, not least through material on Gibson’s own website. His present day activity includes interacting with people discussing his works, either at his own book tour events, which find their way on to YouTube (see below), and via his Twitter account, to engage with a panel discussing his latest novel at a convention. The questions this raises for literary criticism about what credit or status should be given to such authorial interventions are all the more difficult to dismiss as intentional fallacies by their very immediacy, even interactivity; not least because this sort of ‘meta’ analysis is the very stuff of Gibson’s works. Yes, the text has primacy; but the text is multiple, layered, and all over social media as well as the page. Last week we considered the ideas of a radical German dramatist who lived and worked through both world wars, a Canadian intellectual who published influential works in the post-war period on how communications technologies affect societies, and an American Harvard professor, working today, who specialises in innovation and growth. So, what do they have in common? Brecht had many ideas about what a play should be but perhaps the dominant one is that it is essential that the artificiality of a production (and Brecht was a producer/director as much as playwright) should be visible and palpable to the audience at all times. No suspension of disbelief; always a clear appreciation of the limits of the medium of theatre. As the quotation above suggests, Brecht wanted his audience to see the artifice in the real world – to see that structures and conventions were contingent rather than necessary, with all that this implies for politics and the possibility of changing society. Marshall McLuhan coined the now familiar terms “the medium is the message” and “global village”, though his key works pre-dated the internet by several decades. The meaning of “the medium is the message” is not easy to define simply from McLuhan’s writings but is generally taken to mean that a mode of communication – and the 20th century saw several new ones establish themselves widely – is not a neutral channel for the communication of information but itself must filter and otherwise bias the information it carries in ways that we would do well to be aware of, though it would be very easy (perhaps in a way reminiscent of Huxley’s Brave New World) to ignore. This certainly seems to chime well with Brecht admonishing audiences for participating in escapism. Clayton Christensen has also coined an influential term/concept – that of “disruptive innovation”. This theory explains what mobile phones did for fixed-line telephony, or what the PC did for the mainframe. Essentially, as an incumbent provider of a product or service refines its offering to serve its best customers and maximise its profits, this upward journey leaves a gap at the bottom that can be exploited by a new offer (maybe a technology but not necessarily) to a different customer with less to spend and fewer expectations. The enterprise that is successful in filling this need can soon find itself dominating the market and undermining the business model of its established competitors. The list of professions and industries that have at least been shaken up, at most reinvented from the ground up, thanks to the internet, is a long one. Again, what we might think of as immutable laws because that’s what we and our recent ancestors grew up with, can prove to be very changeable indeed. People who work in publishing have been feeling the heat for a while now. It was posited during this lecture that libraries are in the throes of a mid-life crisis. This is something that could be a rather positive evaluation in that it suggests millennia of existence lie ahead for the library, however difficult the present moment is. The publishing industry could also be said to be in crisis, certainly in the original sense that it is at a turning point that will either result in recovery or death. This module looks set to be an examination of how developing technologies have brought (and will bring) about changes in the way that written information is curated, edited, paid for and disseminated. And the key factor is the role that libraries can play in forming the new order, if whatever follows can be described as orderly. Certainly, the last ten years have seen it become much easier for someone to find information or to publish something they have written (this blog post being a perfect example). Presentations made at The Association of Learned & Professional Society Publishers international conference 2013 showed industry insiders acknowledging this but also confident that corporate publishing had a future. After all – and it looks as if this will also be a key theme throughout the course – context is very important to people in deciding what to read. The authenticity and authority a piece of writing is given by its being edited and published by a commercial publisher is something that carries a lot of value, and this is not likely to change in an information society that bombards its citizens from all directions with more and more stuff to read. We also discussed Walter Benjamin’s 1934 lecture to the Institute for the Study of Fascism in Paris, ‘The Author as Producer’, in which he examines the complex political and technological relations between a writer, his/her writings, and the political significance of the medium by which they are disseminated. It is difficult to distill the concepts from the black and white politics of the time, but I think that Benjamin would be very interested in how technology today (albeit largely in the hands of a few opaque commercial entities) has massively disrupted the conventional commercial model of publishing, whether of news, literature, music, or research. Capitalism does seem to be bringing about a democratic order in which the customer is king. So, at least as long as you have money to spend, you matter. One more reason, then, for public libraries to fight for their right to exist.